I read Miss Peregrine’s Home for Peculiar Children with a spirit of gratitude: to have recovered from a cold, for a random 70 degree day in the winter, and for a novel that was completely different from any I have ever encountered before. Author Ransom Riggs built his novel around a collection of old found photographs of vaguely creepy children with strange abilities. Among the forty-four photographs in the book are clothes being worn by an invisible boy, a young man holding a boulder over his head, and a young man casually wearing bees on his head, neck, and wrist. The ambiance of the book is significantly enhanced by these images. When his grandfather dies, sixteen-year-old Jacob is left with a box of photographs and confusing last words. This leads him on a mission to uncover the truth about his grandfather’s past—did he really grow up on an island full of orphaned children with magical powers? He is unprepared for what he learns about himself and what he thought of as reality. 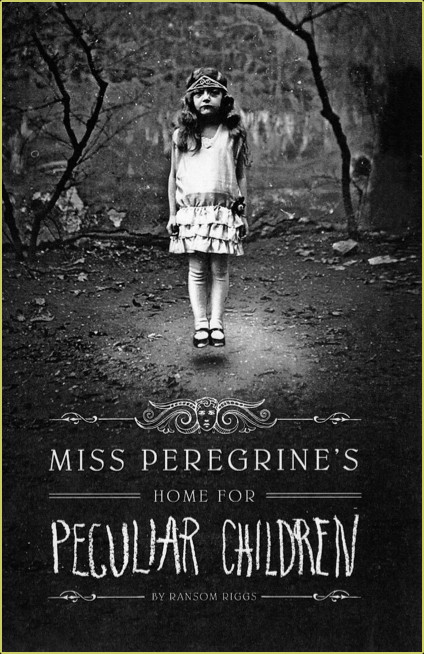 Miss Peregrine’s Home for Peculiar Children had me guessing what would happen next; it is full of action and suspense. I can easily picture the reader who will love this novel—a bit offbeat and smart, and ready to solve a mystery. The ending makes a sequel a possibility, although its sweet ending is satisfying as it is. I promise that the photos are not all as frightening as this one! It's not scary, the photos are just creepy because they are real. It's a good story!